It could be the best risk-free investment you will ever make! 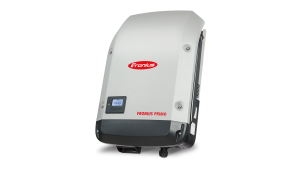 The solar inverter is the box which takes the DC electricity your solar panels generate and turns it into AC electricity that can be used in your house or fed into the grid. Just over a year ago we installed a solar roof panel system on our roof. The system was 9.86 kw of panels with an inverter for 8.2 kw. That means we installed 1.7kw of panels above the maximum capacity of the inverter. Known as overclocking the inverter. We received a series of quotes that varied quite a lot in price. In the end we settled on the system above. After rebates, the cost per kw of panel was A$1,155 fully installed including the inverter. The price for a set of panels that fitted the inverter size was A$1,244 per kw for 8.16 kw of panels. This means that the cost of the extra 1.7 kw of panels was A$729 per kw or 58.9% of the cost per kw for the first 8.16kw of panels. This reduction of cost is because there is no inverter cost involved and the installation of an extra 1kw of panels is cheaper than the installation of the first 8 kw because all the sales cost, travel costs, etc have already been covered. The question is whether at this reduced cost per kw of panel is it worth it because the extra panels will not be fully utilised if the energy produced by all the panels exceeds the limit of the inverter? Our system certainly maxes out sometime and therefore electricity generated is lost. 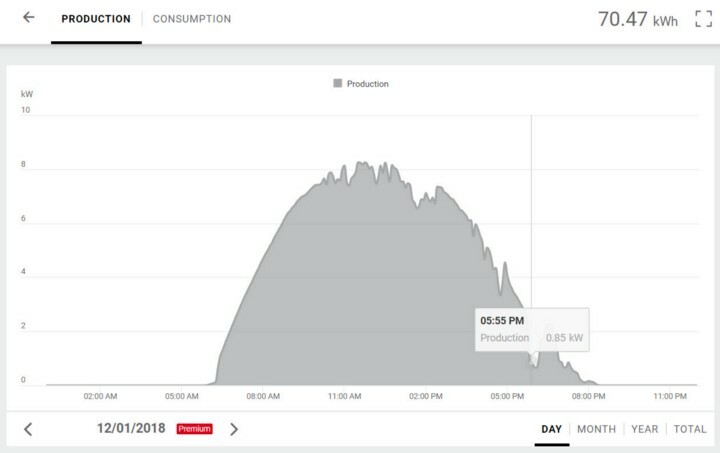 The picture below from our inverter system on Dec 24th last year shows a distinct flattening out of the output at the limit of the inverter at about 8.2kw. This is our best generation day for the year. This means that our extra panels are contributing production that is not being fed through into the house or the grid. That difference lasts from about 11 am in the morning to 1.10pm in the afternoon. 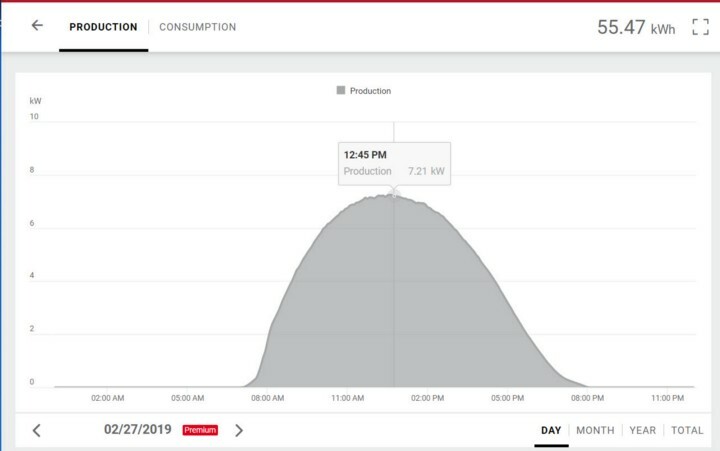 If we now look at the output on February 27th, 2019 below which was as close as we get to a perfect output in late summer we can see that at no stage did we exceed the inverter output. This means that the extra panels were working at the same efficiency as the base panels had we just installed 8.16kw of production. So no loss of output. If I go back over all our data for a year then the system only maxed out the inverter from until November 17th until February 10th 2019. 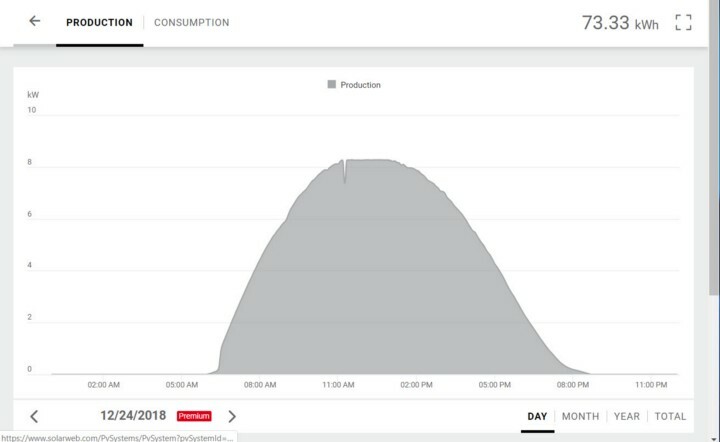 Of course it did not max out perfectly every day due to clouds and sunlight. If we take the 1st of December which was a pretty good solar day then we can see dips during the peak time. On these days the extra panels were working at the same output levels as the other panels. For the rest of summer, I only counted 32 days of the 85 days where we actually reached the capacity of the inverter and many of those days it was only for a short while. So I think that the average loss of energy from the extra panels we installed because of the overclocking has been about 0.3% (32 days at 7% maximum, then spread over 365 days and halved because of the troughs on most days). So overall the extra panels we installed have probably produced about 99.7% of the output of the base panel cases. Even if we are even more conservative and adjust that to 95% in dollar terms to allow for the fact that a more of the extra power we produce from the extra panels is paid at 15 cents per kwh rather than replacing power from the grid it is still pretty good. My overall calculations for the year are that we have made a 14.72% return on our solar system. That means that the return on the extra panels is about 25% due to the reduced capital investment required, which is not too shabby. Over 10 years that is about A$3,000 on an original investment of A$1,239. 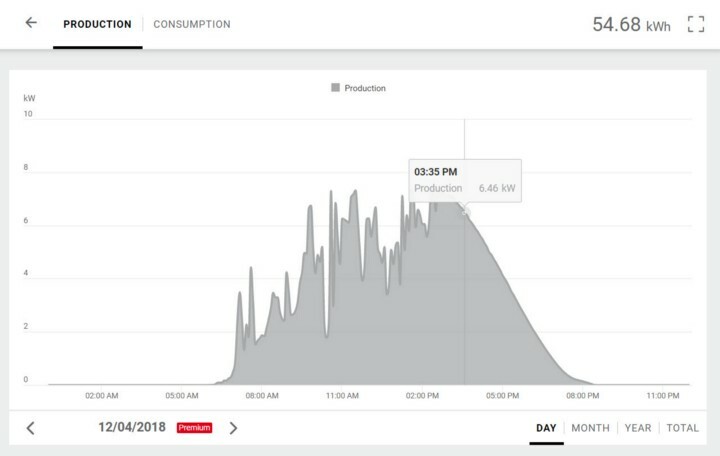 Over time the extra panels will produce the same energy as the base level panels because as the efficiency of the panels reduces over time there will be no days that the inverter is maxed out. Our total panel installation is bigger than most houses due to the fact that our roof alignment is not ideal. Also, both us work from home most days, increasing our energy utilisation during the day compared to many houses. Both of these factors make it more economical to put in a larger system. Please note that individual returns will vary depending on the cost of installation, the alignment of your roof, and the cost of energy, and the feed-in tariff you receive for your solar power (and some homes in regional areas, in particular, have solar feed-in energy levels capped as well). This article should not be taken as investment advice but as a stimulus to investigate your own situation. You should also ensure the level to which the inverter can be overclocked with the supplier or manufacturer.